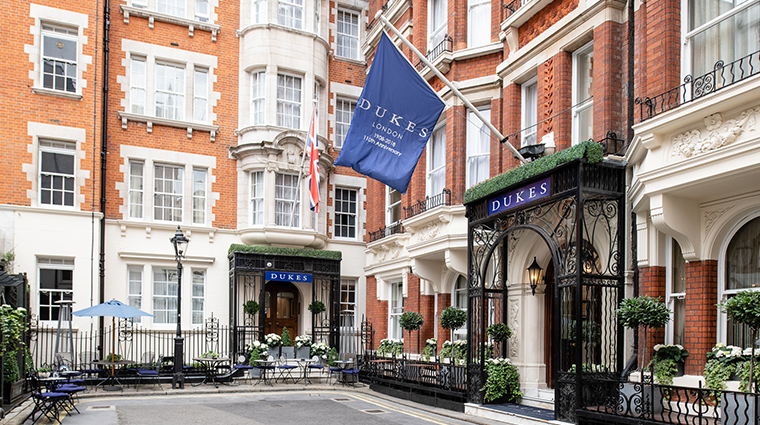 In London, legendary Dukes Hotel delivers discretion with a friendly face from a series of townhouses tucked away off St. James’s Square with its own private courtyard dating back to 1532. The 90-room hotel (with 15 suites) has earned a loyal following from those who return time and again for the attentive service, classic decor and mouthwatering martinis served at Dukes Bar. Upstairs, the rooms have been refurbished to reflect a style that’s streamlined and contemporary, all while keeping with the historic charm of the hotel. Of course, we were drawn to the comfortable bar, Sir Ian Fleming’s former watering hole, a pilgrimage site for James Bond fans. 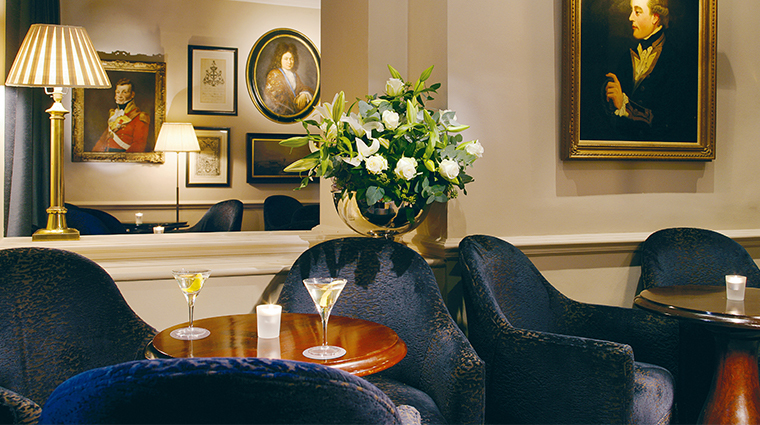 After all, legend has it that it’s here where Fleming coined the catchphrase “shaken, not stirred” for his 007 British Secret Service agent, a slogan that would define Bond beyond simply his taste in cocktails. We were not disappointed. This is a cocktail land classic, text book simple, unpretentious cocktail making. Always order from the trolley list. Dukes is practically a speakeasy. While the clever bartenders here are always inventing cutting edge drinks, we opted for a classic: the martinis are straight up frozen gin or vodka enlivened with dashes of bespoke vermouth and oil expertly wrung from generous peels of Amalfi lemon by white-jacketed bartenders, led by Alessandro Palazzi. A proper old London establishment, it is neither cheap (at £16-£17 per drink) nor pretentious.